Breeze Phase 3 Now Open - Midhaven Homes Ltd. The sales office is now open for the final 41 lots in Breeze by Midhaven Homes. Midhaven Homes presents Breeze phase 3, our newest and most exciting community in North Oshawa. Select from our inspired collection of modern ENERGY STAR® certified all-brick detached bungalows and two story homes situated on a quiet court designed with families in mind, next to Parkwood Meadows park and just minutes from UOIT, close to Legends Community Centre, great schools, shopping, 407 and so much more. 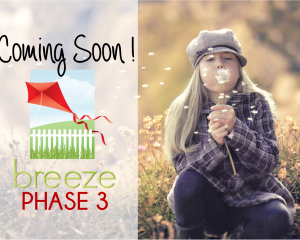 Find more information online at Breeze Phase 3. Prices starting from $687,900. Thank you for all your help this Christmas and for another successful Adopt-A-Family and Toy Drive!